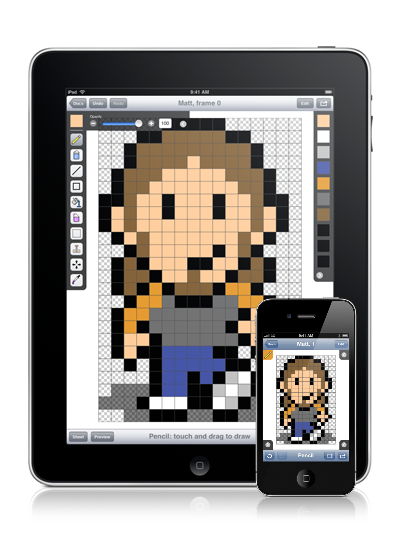 Sprite Something was created out of the need for a pixel editor to easily create multiple frames and export spritesheets. 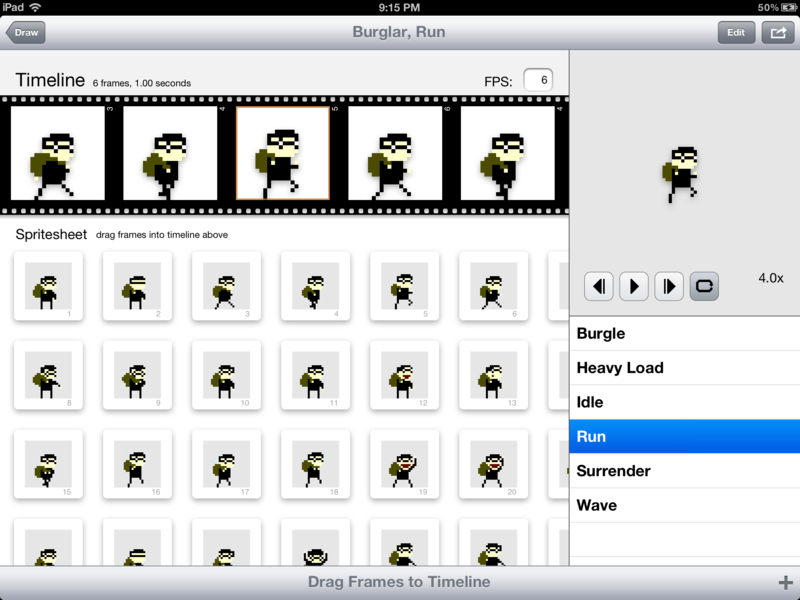 Drag and drop animation was added to one of the early updates, as well as GIF export. 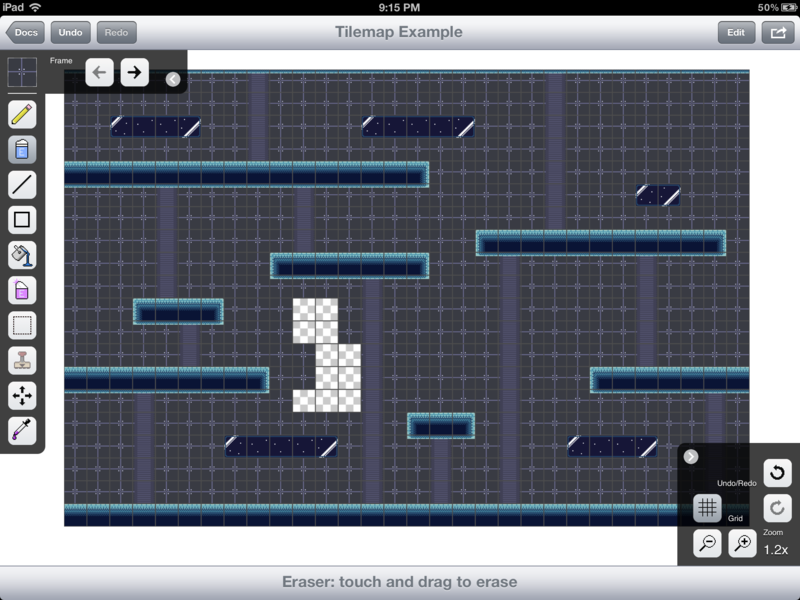 Later, Tilemap creation was added so users could do more with their pixel artwork. The latest update (2.01) adds iCloud, Dropbox and Photo Library support, new tools and tool options, and better UI navigation flow. Sprite Something has not received any awards or recognitions yet. Please check back later to see if things change. 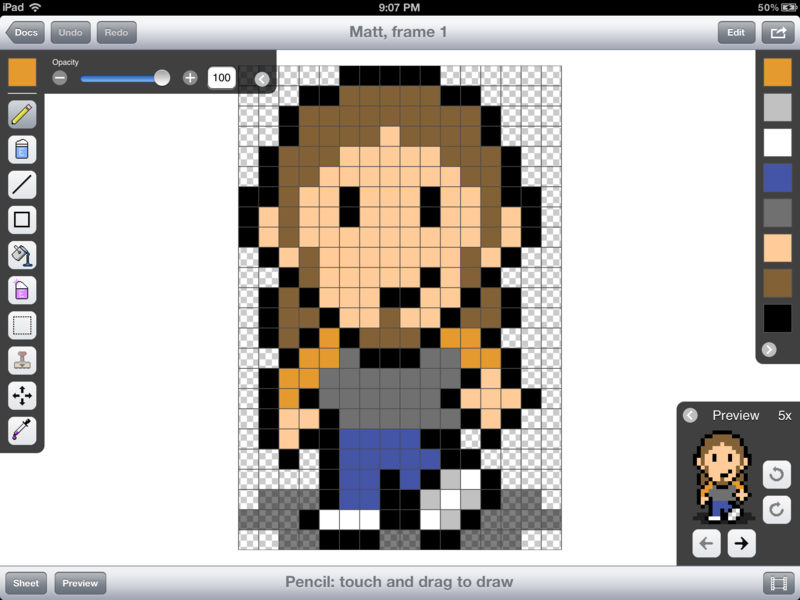 "Old-school icon designers and retro game houses alike will be delighted by the release of Sprite Something from Terrible Games." "You could become the next eBoy! (probably not, though)"